The Office of University Marketing and Communication provides the marketing tools and experience that push our story forward in external markets. Priority status is given to projects associated with student recruitment in alignment with the strategic needs of the university. The office will produce projects for all other university departments as time permits. 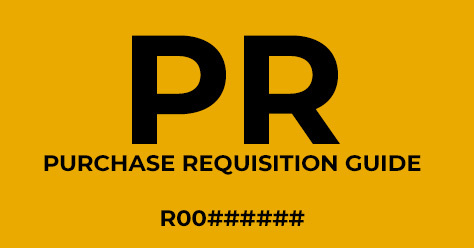 Submission of a project request form does NOT guarantee acceptance of a submitted project. Due to the volume of requests we receive, ALL projects must be intended for an external audience. If approved, the requestor will be notified of their project approval and approximate schedule. Projects are not started until FINAL content is received. If you have any questions about any of these procedures, please call or email Kim Ziegler or Brandon Stanley. GENERAL REQUESTS: Guide and help for completing the Stationery & Project Request Forms. STATIONERY: Each office is responsible for ordering its own stationery items. 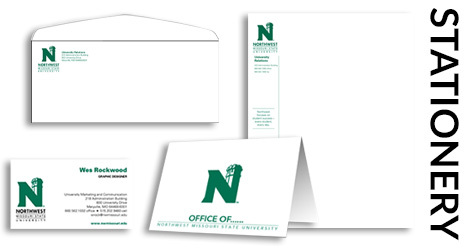 Rapid Elite is Northwest’s vendor for branded stationery materials. Rapid Elite will prepare artwork, provide proofs and, once approved, print the order. A quick reference guide on how to obtain a PR in CatPaws. University logos available for download. 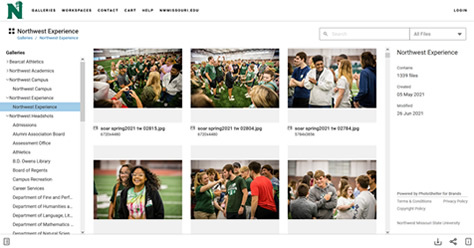 To access high-quality, downloadable photos or a logo for a self-designed project, please visit the Northwest Zenfolio site. PowerPoint templates are available for download. If the existing templates will not work for your project, please fill out the Project Request Form. 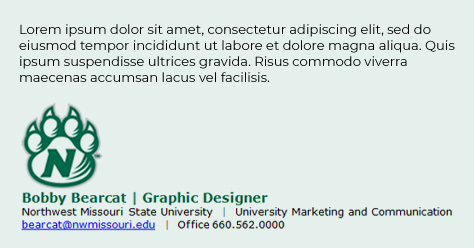 Note that University Marketing and Communication will not place your text within the PowerPoint or design transitions, but instead will provide a template. Email signature guidelines, resources, and rules. In-house and off-campus printing procedures and information.